BERRAGOON POEM a 10 year old bay mare. She is a homebred Berragoon horse via embryo transfer, she is out of BERRAGOON TUNE and by resident sire, STONEBROOK FINNO. She was sold as a foal to Scott Creek from Victoria and was broken-in by Peter Tait also from Victoria. 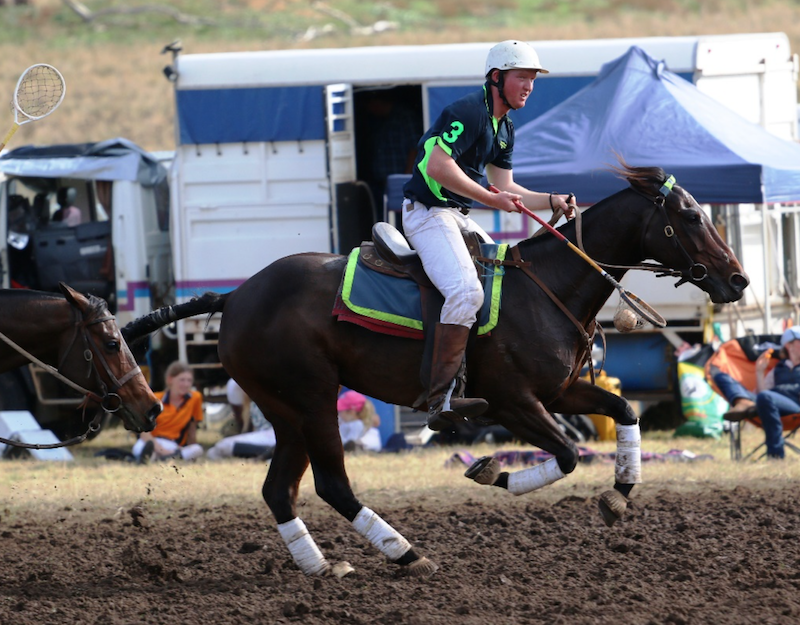 She was started in Vic and played at the Albury Polocrosse Nationals by Geordie Tait. Poem became available for sale and we purchased her back in 2016. She became a solid member of our Albury-Holbrook A Grade side being ridden by Matt Davison, playing in the No.3 position. Suzette Thomas rode her in the Australian squad matches in Warwick in 2016, and won the Best Lady’s Horse and Rider Combination, and Lucy partnered her in the Aus v SA Test Matches in Warwick in 2017. Berragoon Poem is pretty easy to play, is soft, and happy to play in any position. Her dam Berragoon Tune played in the 2003 World Cup for Canada and 2007 for Ireland, teaming up with ex Aussie Avis Wotton. She has been hugely successful for us in the breeding barn, and also represented NSW on 4 occasions at National level. Berragoon Tune will be represented by at least 3 progeny in this World Cup.